Posted on November 14, 2017 at 4:29 pm. 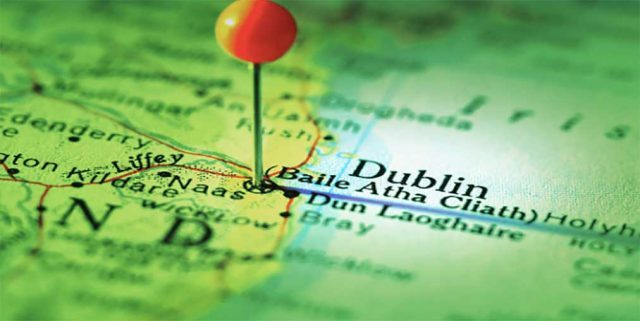 Ireland’s Republican Party is calling for the end of the self-exclusion system online casinos offer among other gambling restrictions. The Irish Republican Party, Fianna Fáil, has proposed a new bill which would create a national gambling control office and enforce revised gambling stipulations. The party wants a sector-funded office set up to oversee the restrictions also proposed in the bill, including the removal of the “self-exclusion” system. The feature is available to all Irish online casino players and those who believe they have a problem can voluntarily choose to stop gambling. But children’s spokeswoman Anne Rabbitte, who is behind the bill along with spokesman Jim O’Callaghan and back-bencher Jack Chambers, believes the system is ineffective and wants online casinos to pick up problem gamblers and block them. The legislation includes a provision which would ban advertisements from appearing on phone apps and websites under 18s regularly access, to protect minors. Along with enforcing the new restrictions, the office would also be responsible for cracking down on money-laundering issues in the gambling industry, including examining whether any casinos, bookmakers and online gambling sites are being used to launder money by criminals. Fianna Fáil’s frontbench members have agreed to support the bill, and they want to table it before Christmas. GambleAware recently revealed that around 40,000 people have a gambling problem in Ireland and approximately €5 billion is spent by gamblers in the country every year. Ms Rabbitte spoke to the Irish Examiner and explained that the bill needs to be approved immediately to address the increasing prevalence of problem gambling in the country. She also slammed both current and former governments for failing to address the issue. “We need to have an office of gambling control in Ireland,” she said. She wants the bill debated and passed before Christmas, without any need to go to the amendment stages. She also wants all support from parties to come without any political agenda. It’s not the first time there have been calls for a gambling regulator, similarly the the UK Gambling Commission, to be set up in the country to regulate and monitor the gambling industry. Gambling is not illegal under the Under the Gaming and Lotteries Act 1956, but due to its age, it does not address the nature of online gambling companies. There is also a stipulation which states gambling debts cannot be claimed, which makes it an incredibly risky environment for both gambling operators and gamblers. Want to play at a secure online casino? It’s important to only play at secure online casinos so you don’t get ripped off. We recommend players from United States play at Raging Bull Casino for a safe online gambling experience. The online casino uses security encryption technology to protect your details and is licensed by an advanced gaming jurisdiction to ensure your details and money are safe.